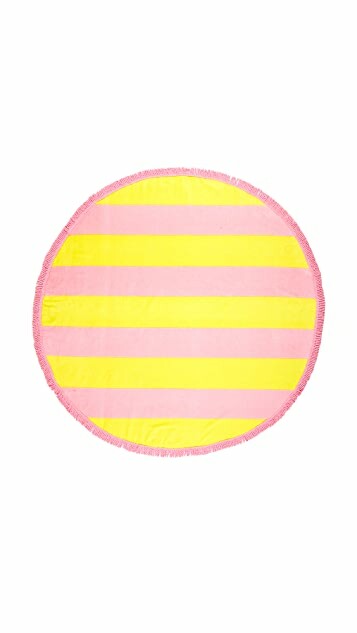 Candy-colored stripes accent this round ban.do beach towel. Fringed edges. 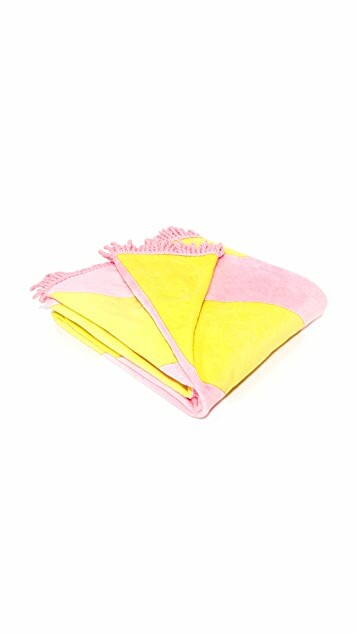 Such a great price for this towel. I can't wait to use it! I believe it's even bigger than some of the other more expensive ones. Colours as pictured.